In a paper entitled ‘Temperature-driven river utilisation and preferential defecation by cattle in an English chalk stream‘ by Trevor Alan Bond, David Sear and Mary Edwards, the finding is shared that cattle standing in water ‘pooed’ five times more that the average defacation frequency. I suspect given how hot it gets here in Australia, those cows with access to streams spend even more time standing around in them than they do in England. 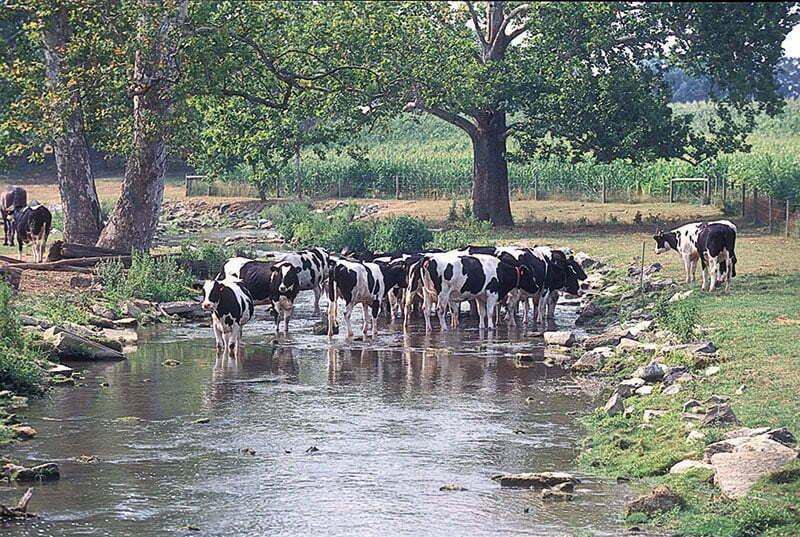 Cattle favour riparian environments when it is warm because it is the place on farm that is coolest, whether in or out of the water. As temperatures rise, the research team found that cattle stand around more, pooing where they stand, with rates of pooing higher when in water. It is possible for stock to get the benefit of cooling from the riparian zone, but from the other side of a fence. In the same way evaporative cooling works, we can plant shelter strips that enable cattle to stand near, but not in riparian areas, and still get the benefit of those cooler breezes coming off the water. Cattle have the potential to be important geomorphic and ecological agents in the low-energy, high biodiversity chalk rivers of southern England. To improve our understanding of cattle–river interactions, a unique high temporal resolution study of cattle behaviour and distribution was conducted across 500 h on a chalk river in Hampshire, England (UK) between April and October 2010. It was observed that cattle spent approximately 2% of their time in the aquatic en-vironment and approximately 7% of their time in the riparian zone. Cattle activity and distribution varied according to the time of day and the time of year. A statistically significant correlation was recorded between the amount of time spent in-stream by cattle and air temperature. Cattle also defecated five times more frequently in-stream than the average defecation frequency, contributing greater than expected direct organic matter and nutrient inputs. The study suggests that the impacts of cattle in chalk river environments may have been underestimated, particularly at a time of global warming. I think this article will be really useful when talking to landowners about why we need cattle out of the river. 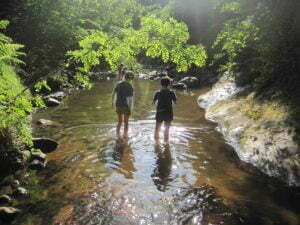 Linking the impacts to people is often the best way to communicate the need to manage stock in riparian areas – for example, painting the picture of a family playing in the river totally unaware of cattle around the corner pooing in it, is a good way to get the message about how stock management impacts ‘flow’ downstream, with negative consequences for water quality and human health. 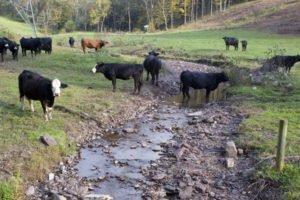 There are also the associated issues of trampling, pugging and forming stock tracks that promote sediment loss, all caused when cattle cause when they have unlimited access to streams. I have also put the link to our great ‘Managing Stock and Waterways guide’, which is full of practical tips and approaches to managing stock in (and out) of riparian areas, as well as links to more resources packed full of information about how to Manage Stock. This powerpoint presentation has notes to accompany each slide, explaining the key point being made and how you might explain it to others. Download» Power Point presentation (49.05 mb) or the PDF version (3.4 mb).